The British Universities and Colleges Sport (BUCS) Premier and Tier 1 finals will return to Sixways on Sunday 25 March. 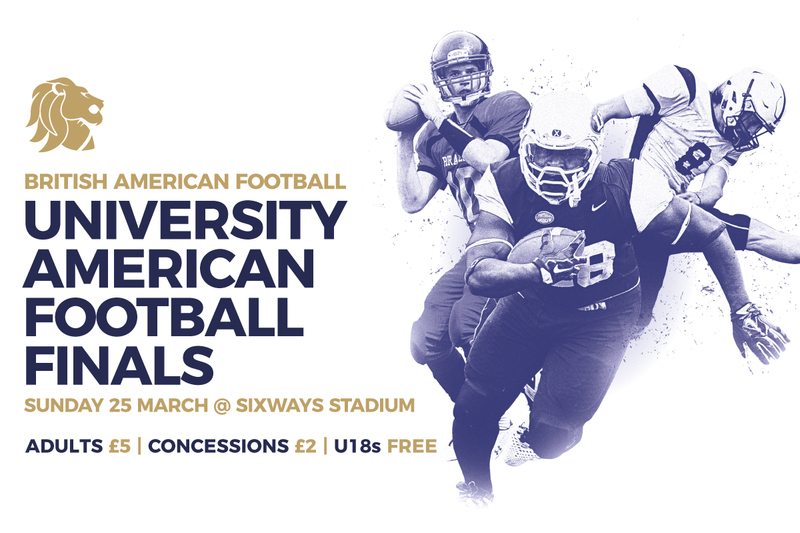 Sixways has hosted a number of American Football matches since the installation of the Artificial Grass Pitch in 2016 including last year’s entertaining event. Leeds Beckett Carnegie defeated Portsmouth Destroyers 28-7 to secure Tier 1’s Trophy Cup title while a nail-biting Premier final saw Stirling Clansmen edge Durham Saints 10-7 to claim the Championship Cup. Durham were unable to convert a field goal to send the game into overtime as Stirling won their fourth title. And this month’s next instalment is set to be another exciting event as two big games come to Sixways. The Tier 1 final takes place at 12pm while the Premier final starts at 4pm. The teams for the day will be confirmed in the coming weeks. Tickets are available for just £5 for Adults while concessions are £2. Entry for Under 18s is FREE. To book your tickets, click here or call the Warriors Ticket Office on 01905 459309. Please note Under 18s tickets are only available by calling the Warriors Ticket Office or on the day at Sixways Stadium.